We already knew Rome wasn't built in a day. But it turns out it took a lot longer to build than anyone imagined. According to The New York Times, last summer an archeological dig about 11 miles from central Rome revealed that the Romans were erecting monuments far earlier than we previously thought. How much earlier? 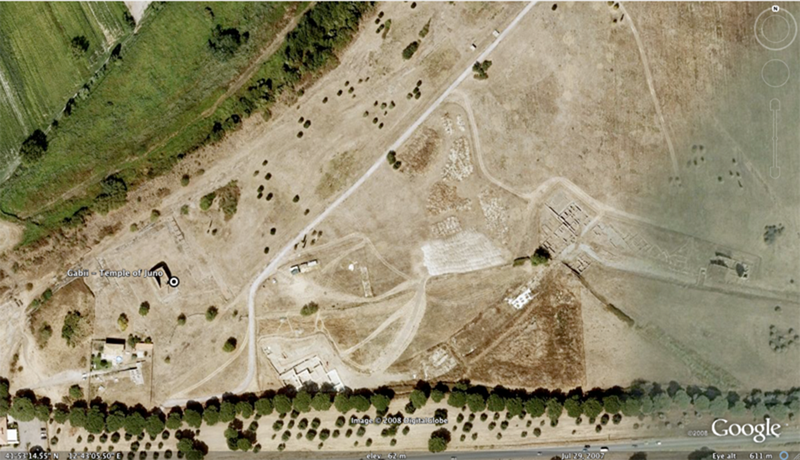 About 300 years before the Colosseum, in a city-state called Gabii not far from Rome. Led by Nicola Terrenato, a classics professor at the University of Michigan who was born and bred in Rome, they found the "ruins of a vast complex of stone walls and terraces connected by a grand stairway and surrounded by many rooms, a showcase of wealth and power spread over an area more than half the size of a football field." The dig, called the Gabii Project, has been uncovering the city-state since 2007. So why do these findings matter? If the ruins are from when Terrenato's crew thinks they're from, it contradicts the idea that Roman architecture, in its early years (350 B.C. - 250 B.C. ), was pretty modest and unassuming—and that Romans didn't start building massive structures until they came back from the conquest of Greece in the second century B.C.